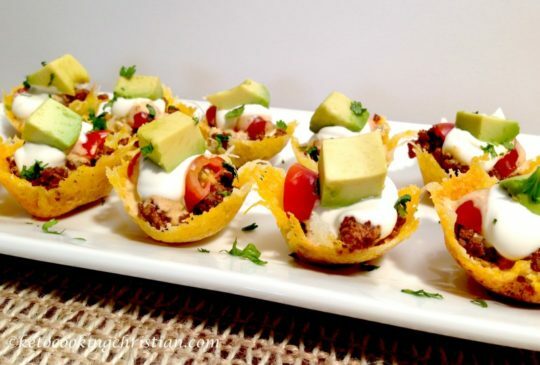 Are you searching for the perfect low-carb party foods to serve at your next gathering? 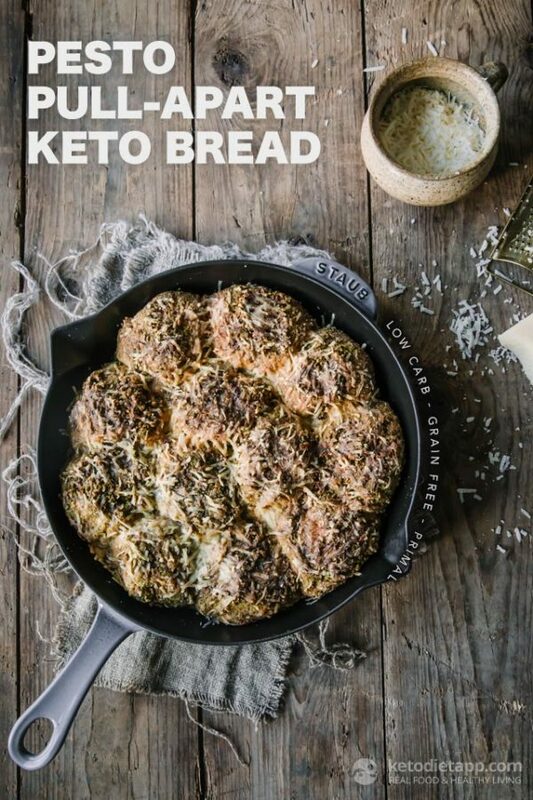 Wondering if these recipes will taste good even if your friends and family aren’t following a keto diet? 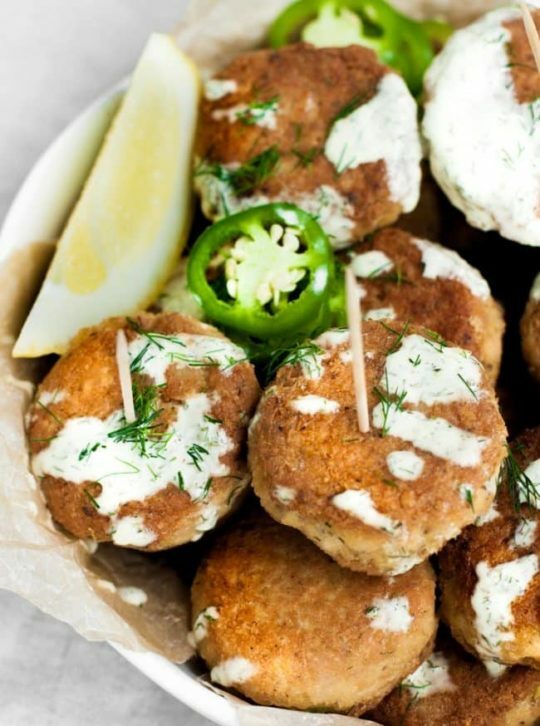 You’re in luck because this roundup of 43 different low-carb party food recipes has options everyone will celebrate. If you’re new to the keto diet, you may want to start the party with low-carb versions of your favorite party staples. If this is your first low-carb party, you don’t have to make life complicated by trying 20 new and different recipes all at once. 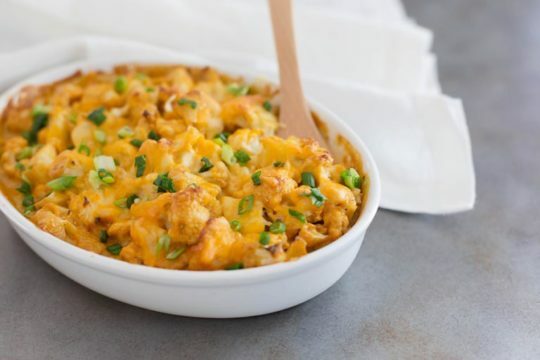 Instead, use these simple keto hacks to make low-carb versions of classic party food recipes you already know and love. You’ll not only fool your taste buds with healthier swaps, but you can also make then in larger batches, knock out the cooking early, and have more time to party. Charcuterie boards are one of the easiest low-carb appetizers you can make. And with the help of this keto charcuterie board recipe, you’ll know exactly what it takes to keep your spread low-carb and delicious, while also creating a gorgeous, colorful spread. 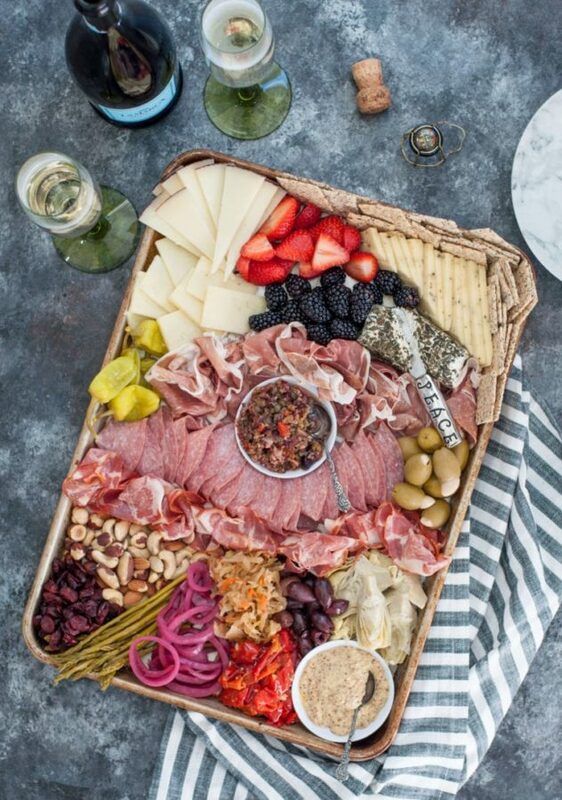 It doesn’t take long to build an impressive charcuterie board with meat roll-ups, cheese, and keto nuts, so you can create it just before your guests arrive or have it ready ahead of time. Up next is another party classic that you can transform into a low-carb version without sacrificing taste. Just because you’re throwing a low-carb party doesn’t mean you’ll have to forgo the chicken wings everyone loves. You’ll just need to make a few simple swaps — like dropping the breading and using sugar-free sauces, for example — to achieve the same flavors your family and friends are craving. 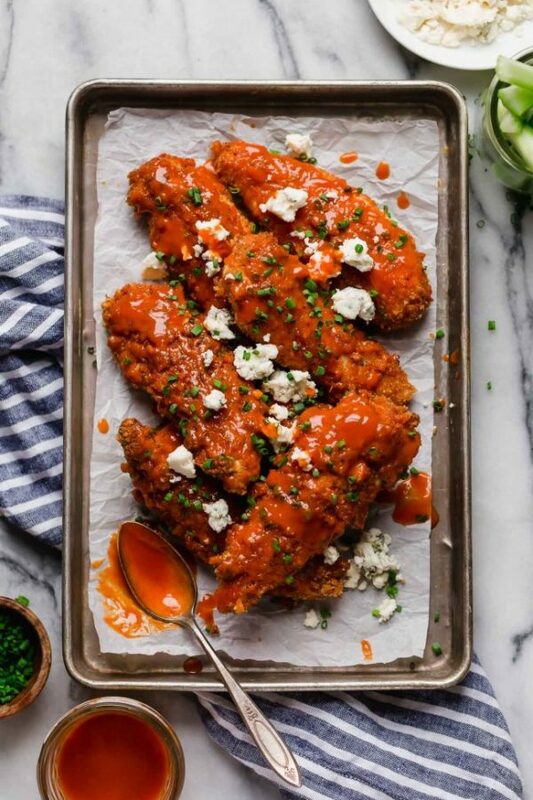 Before you run out to buy store-bought blue cheese or ranch dressing to pair with these tasty wings, you should know many commercial options contain harmful chemicals and hidden carbs and sugars. 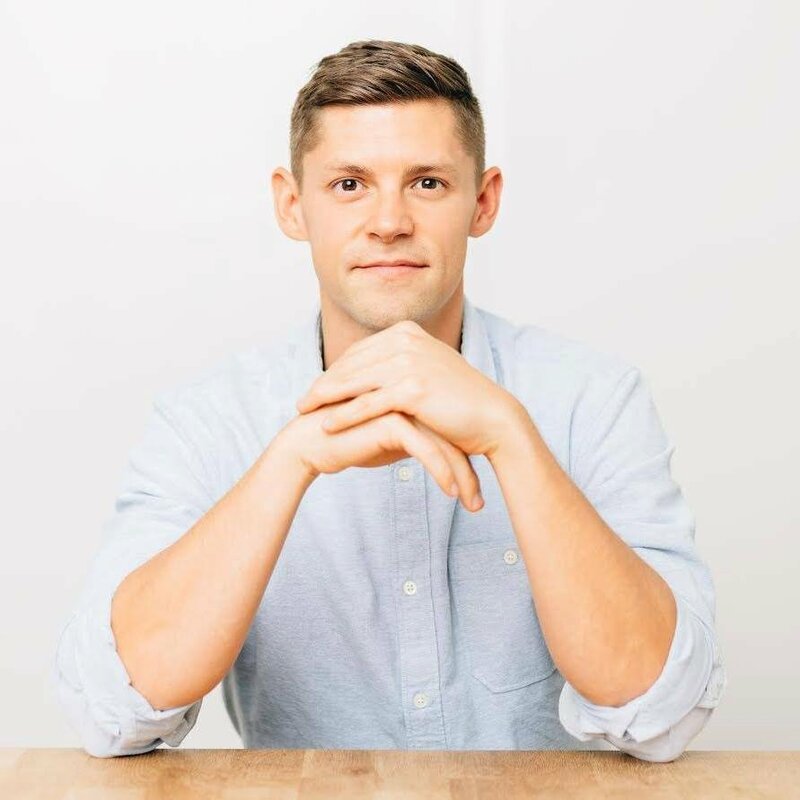 But there is a better option: making your own keto-friendly dip. Try this easy homemade keto ranch dip, which tastes even better than what you’ll find on the shelves. Even better? You likely have most of the ingredients in your pantry already. The next set of recipes also turns a crowd favorite into a safe-on-keto party option. Warm, cheesy bread and pizzas are other party food staples you don’t have to go without just because you’re following a keto diet. This pesto pull-apart keto bread recipe delivers all the delicious flavor you’d expect from a recipe using traditional flour. And it only clocks in at 3.6 grams net carbs per serving. The next recipe combines two classic party foods into one rich, keto party treat. You may think the only carbs in spinach dip come from the tortillas, crackers, or bread you use for the dipping. But just like ranch dip, spinach dip is filled with hidden carbs you may not be budgeting for. A half-cup serving of regular spinach dip will cost you close to 9g of carbs, which may be half your day’s worth[*]. 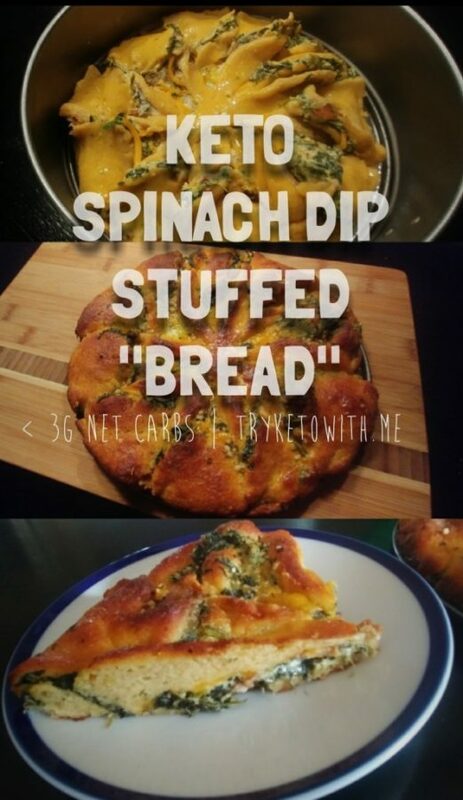 Fortunately, this keto spinach dip stuffed bread recipe gives you all the same flavors of spinach dip sans all the carbs. At just 2.25g of net carbs per slice, this low-carb bread will satisfy your cravings and leave you with enough carbs to make your way down the snack table. And if you prefer meat-stuffed bread, check out this next recipe. 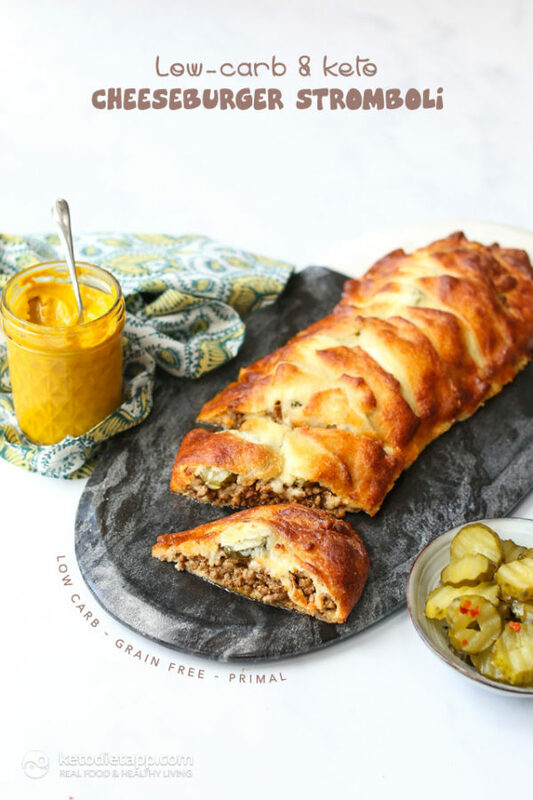 This low-carb keto cheeseburger stromboli recipe replaces the marinara sauce and Italian meat found in traditional strombolis with ingredients like ground beef, pickles, and dijon mustard. Using a mix of shredded mozzarella and almond flour to create the dough, this stromboli crunches up and browns like a typical crust even though it’s grain- and egg-free. This low-carb swap will be a hit whether you’re throwing a low-carb Super Bowl party or bringing a dish to one, just like this next recipe. It’s easy to see why macaroni and cheese always shows up at parties and gatherings; it’s a comforting dish both kids and adults love, and it’s not that difficult or expensive to make. For this keto version, just swap out the pasta for cauliflower. Using three different kinds of cheese and less than 30 minutes of your time, this recipe is a no-brainer for pleasing guests and satisfying your cravings — all while staying in ketosis. Plus, it’s an easy way to get kids (and adults) to sneak in vegetables at a party without having to crunch on raw veggies and dip all day. Still craving bread? The next low-carb party recipe uses the same dough as the stromboli, but with a sweet twist. 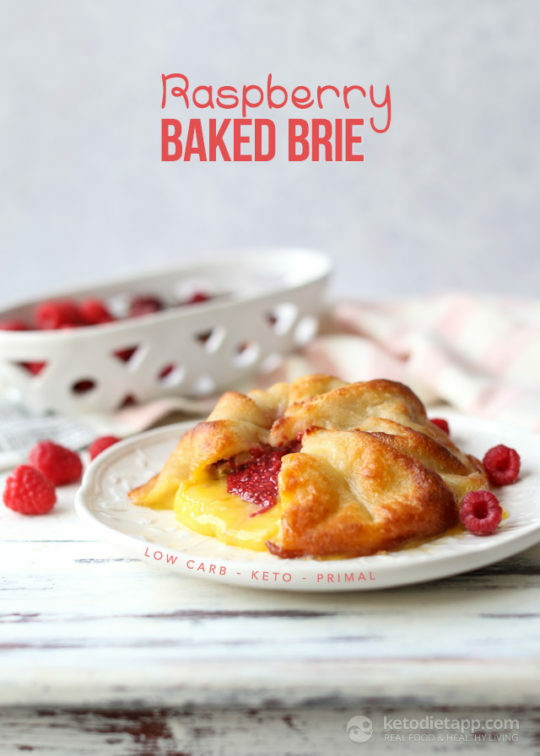 If you really want to impress your guests while staying in keto, this raspberry baked brie recipe will become your new favorite low-carb appetizer for classy gatherings and casual get-togethers alike. In just seven steps and less than an hour of your time (30 minutes if you already have some jam on hand), you’ll have a cheesy, indulgent dish everyone will want more of. Don’t be surprised if this becomes a Christmas or holiday staple at your home. If you don’t have time to make the dough and jam from scratch, you can always try this next recipe with similar flavors and ingredients. 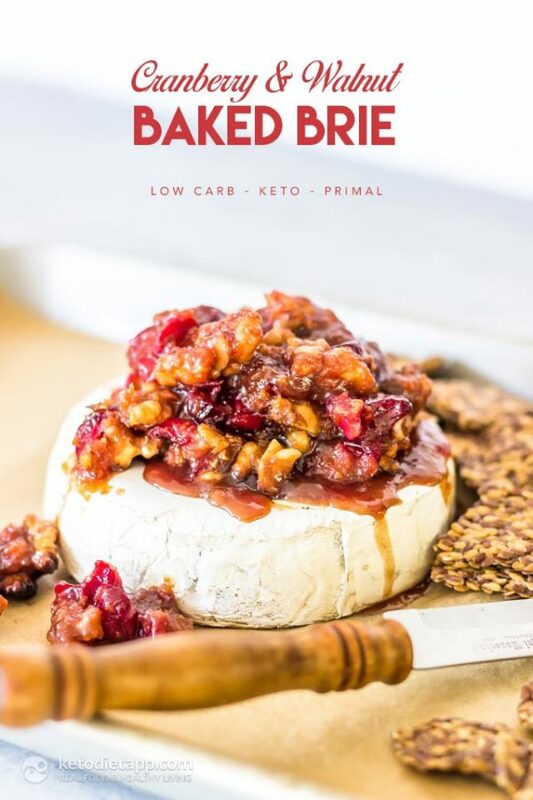 For an even easier low-carb appetizer option, try this cranberry and walnut baked brie recipe from the same creators as the last one, Keto Diet App. Since you don’t have to prepare a crust like the previous recipe, this restaurant-worthy appetizer takes just 20 minutes to make. Pair your warm brie with spicy bacon chips or crunchy chia seed crackers for party-worthy dipping. Speaking of dips, no low-carb party food roundup would be complete without a few keto recipes to replace your classic chips and dip. Chips and dip may be the king of all party foods. The combination pleases a wide range of palates and satisfies cravings for both crunchy and comforting foods in one perfect, portable bite. And your guests can serve themselves during the party so you can have fun. While you will have to say goodbye to traditional crackers, potato chips, and tortilla chips with dip on a keto diet, raw veggies and homemade ranch dip isn’t your only replacement option. These easy, low-carb recipes show you can enjoy a variety of dip options — all while staying in ketosis. Making your own chips and dip from scratch is the best way to control all the ingredients (and watch your carbs). Mix up one large batch of your chosen dip and let all the flavors get friendly while you work on the dippers. But a dip is nothing without a proper delivery mechanism. Try one of the keto cracker, chip, or bread recipes up next to complete your chip and dip pairing. 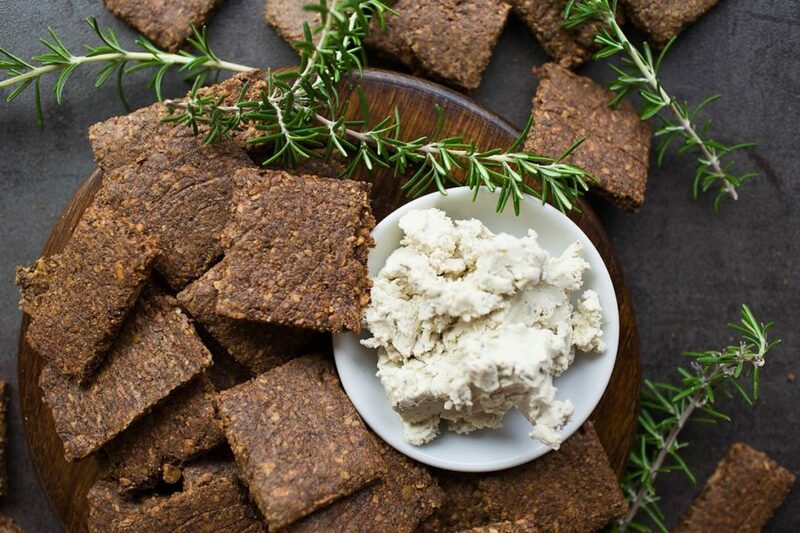 For a hearty low-carb cracker that won’t break when you dip, try one of these crunchy keto rosemary crackers. They’ll also work well with the cranberry walnut baked brie recipe mentioned earlier. Another keto option ideal for dip transportation is a low-carb flatbread. This five-ingredient keto flatbread is delicious on its own but is even better when topped with any of the seven dips listed above. You can also customize this recipe to complement or add to the flavors in your dip. The next recipe shares those traits and pleases the tastebuds no matter how you eat it. If you’re not familiar with cloud bread, it’s a really easy-to-make low-carb bread keto dieters often use to make sandwiches. With the fluffy texture of a traditional loaf — and less than half a gram of carbs per serving — you can also use cloud bread for dipping. Since this recipe doesn’t contain any spices, cloud bread will serve as the perfect neutral base for any dip you choose to make. 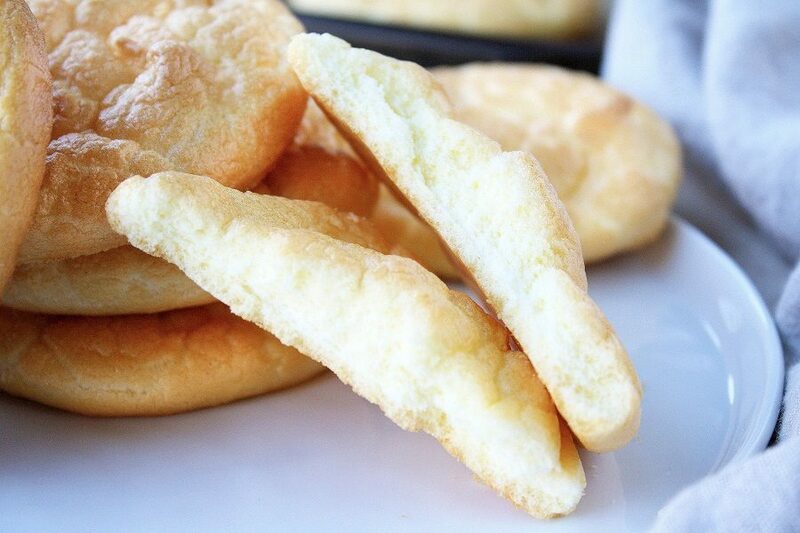 However, if cloud bread is too plain for you, try this next recipe. 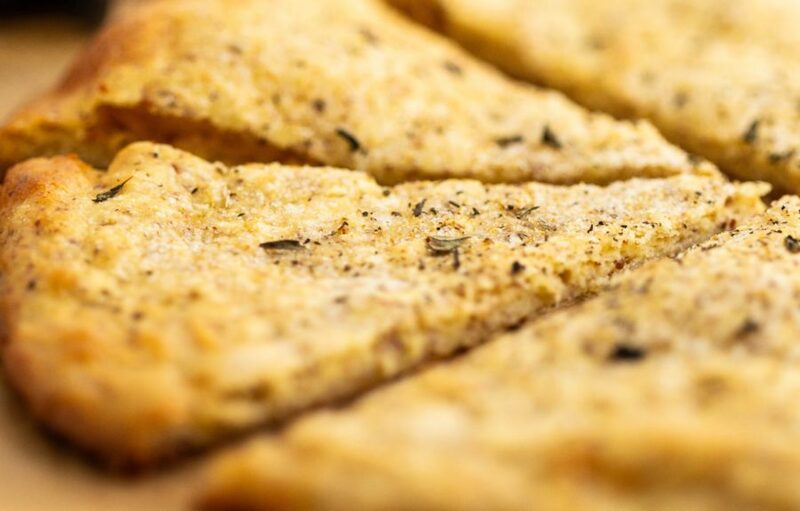 Anyone can whip up a batch of breadsticks with this low-carb, cheesy garlic bread recipe. They’re so tasty, you can enjoy them solo, or pair with your favorite low-carb dip. 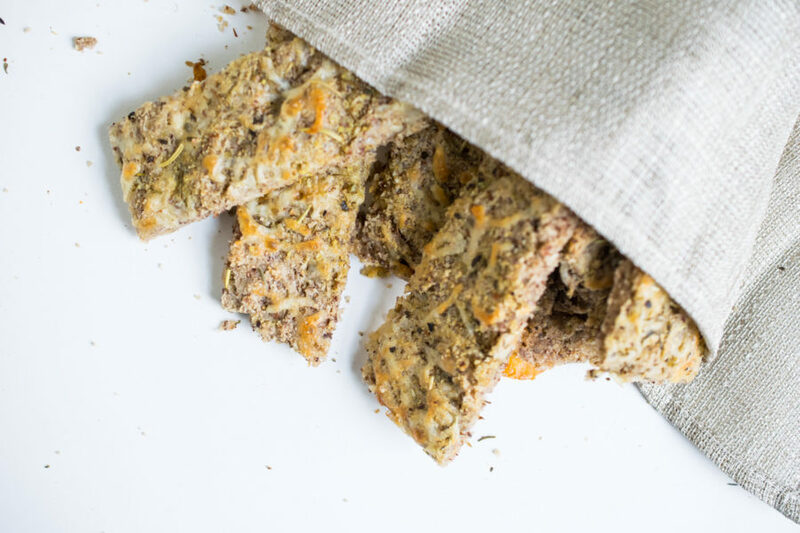 Unlike traditional breadsticks, this recipe uses filling, whole-food ingredients like almond flour, coconut flour, eggs, and various cheeses to satiate and satisfy. They’re so satisfying, they may also prevent you from overindulging. The next recipe also gives you a healthier replacement, this time using cheese to make low-carb chips. Packaged cheese crisps are popping up at nearly every grocery store. And while some of these brands may be keto-friendly, it’s on you to check for artificial ingredients and hidden carbs on the nutrition label. A better, fresher option is to make your own cheese crisps. 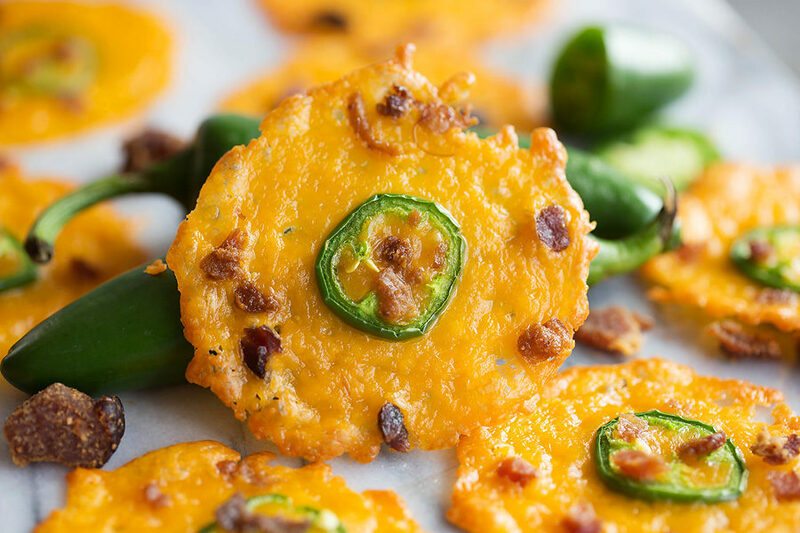 This spicy keto cheese crisps recipe takes just five minutes of prep time and 10 minutes to bake, for a grand total of 15 minutes. If you’re not hot on spicy chips, follow the recipe and omit the jalapenos. 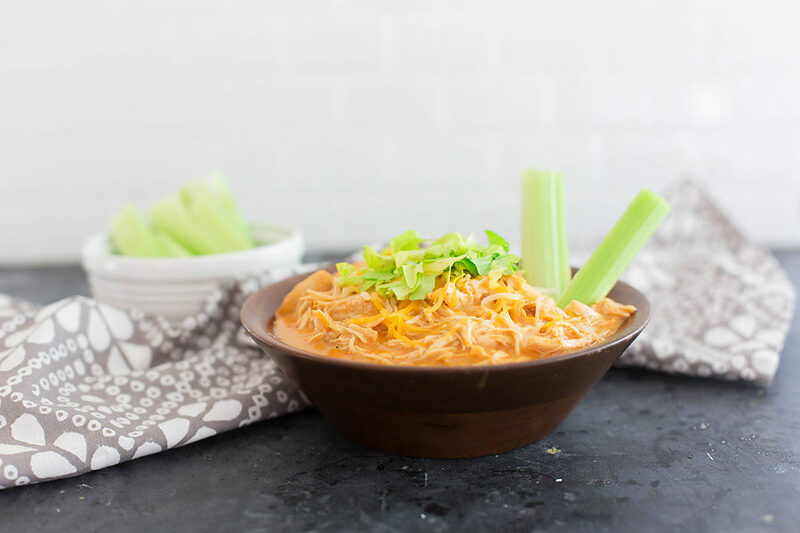 Add these cheesy crisps to the snack table on their own, or top them with keto buffalo chicken dip for the ultimate low-carb superbowl party food. The next recipe also works well as a party finger food. Looking for another cheesy, crunchy, poppable party treat? These two-ingredient keto crisps call for egg whites and shredded cheese — and they clock in at just 22 calories per crisp. Since you bake them in a mini muffin pan, it’s easy to make them for a small gathering or a larger crowd. The next “chip” recipe is also lower in calories and higher in vitamins and minerals than traditional chips. If baking isn’t your forte and you want to sneak more veggies into your party lineup, add these crispy eggplant chips to the menu. Your guests won’t be disappointed. Similar to the other chips on this list, these work well on their own and double their flavor when paired with a dip. While these roast in the oven, you can enlist your friends and family to help prepare a recipe from this next set of low-carb party food favorites: food on a stick. Skewers are another easy-to-put-together party food that look like you put more effort in than you actually did. These low-carb, gluten-free antipasto kebabs let your guests easily grab a skewer of snacks, rather than piling everything on their plate individually. This also keeps portions in check and ensures you have enough for everyone. 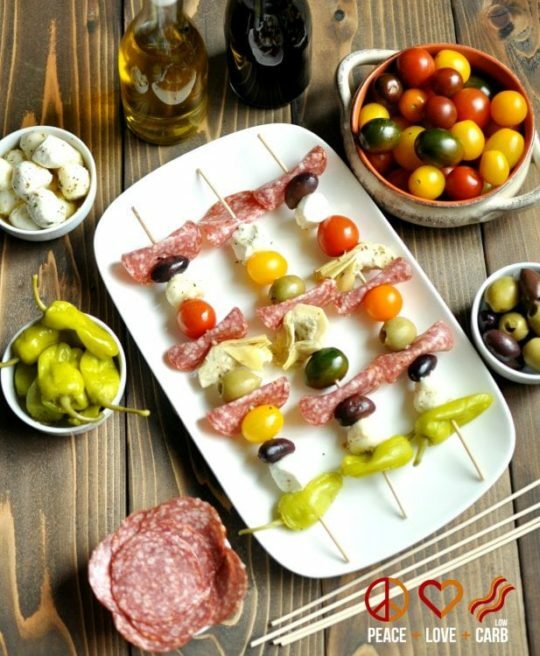 Follow the recipe for a classic antipasto skewer or switch up the ingredients every season or holiday. You can add feta cheese cubes for a Greek take, or use a different type of meat from your charcuterie board. The next skewer recipe tastes just like another Italian classic. Caprese salads — a mix of tomatoes, mozzarella, and fresh basil — are one of the few low-carb appetizer recipes you don’t need to change much to fit your macros. As long as you’re careful with your serving of tomatoes and balsamic vinegar (which can both contain extra carbs), caprese salads make a great keto party food. And the salad works really well on a skewer. 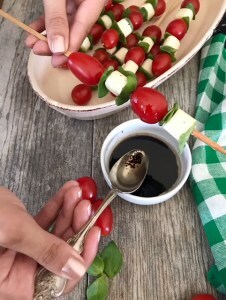 Simply gather your ingredients and add them to your skewer — cubes or small rounds of mozzarella, grape tomatoes, and fresh basil leaves. Option to drizzle each skewer in extra virgin olive oil or MCT oil for some healthy fats. The last skewer recipe is great for adding more protein to the buffet table. 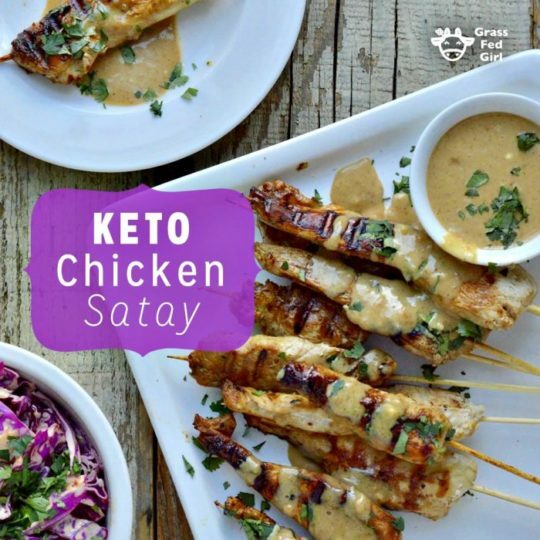 To make sure you and your party guests have enough protein, add these keto chicken satays to the menu — especially if you’ll be drinking in ketosis. This recipe makes a traditional peanut sauce with Thai flavors, but you can substitute another nut butter like almond or macadamia for the peanuts and still maintain a classic peanut satay flavor. 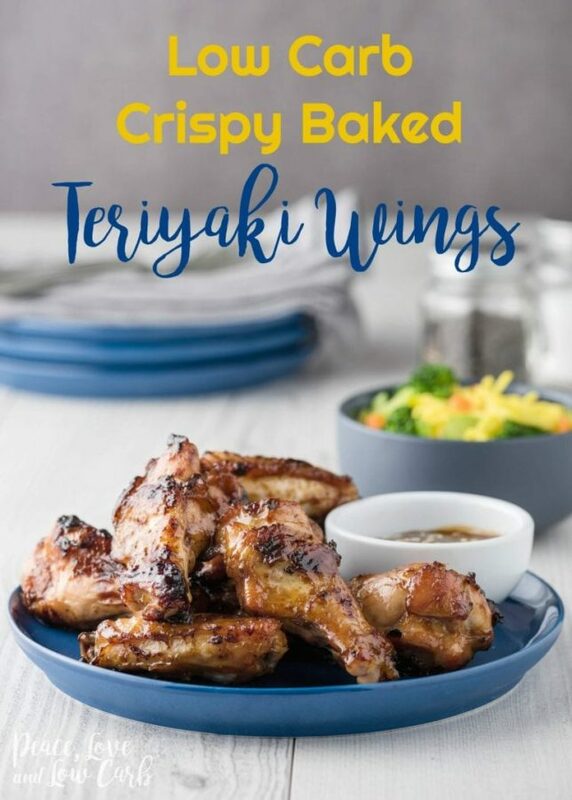 You can even skip the sauce entirely for a tender grilled chicken skewer that you can top with any other dipping sauce, including keto ranch dip. This is a smart option if you’re unsure about your guests’ nut allergies. This final set of keto recipes is best for cocktail parties, game days, and get-togethers where you spend more time standing and mingling than sitting. Individual, bite-sized appetizers allow your guests to graze on several different treats throughout the party without feeling overstuffed or glued to their seat. They also cover a wide range of flavors so if someone doesn’t like one recipe, they’re sure to like another. 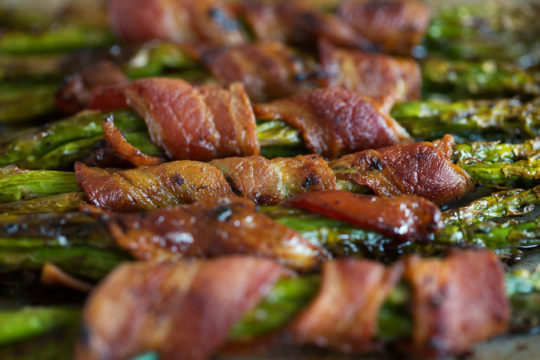 You don’t need much experience in the kitchen to nail this recipe for crispy keto bacon-wrapped asparagus. Get the kids involved and have them wrap raw bacon around three asparagus spears for the perfect individual portions. The entire batch cooks in around 25 minutes. As the bacon fat drips off, it will coat the asparagus so it crisps up nicely. And for even more bacon goodness, check out the next recipe where mushrooms are the star. These cheesy, low-carb stuffed mushrooms are oozing with warm goodness and are a cinch to make. With a filling similar to creamy spinach and artichoke dip, each mushroom cap becomes the perfect portable vessel. 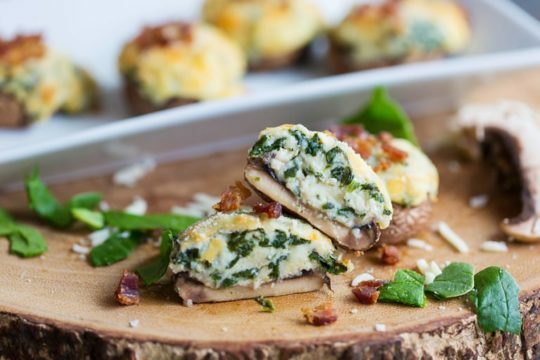 Stuffed mushrooms are also easy to portion, so you’re sure to have enough for all your guests. Feel free to customize this recipe with your favorite veggies, cheeses, or meats, like making sausage-stuffed mushrooms. In the next stuffed mushroom recipe, the spinach gets swapped out to create mini low-carb pizza bites. Close your eyes and taste these stuffed pizza mushrooms and you’ll swear you’re eating a bite of deep-dish pizza. Bacon, salami, cheese, Italian herbs, and sun-dried tomatoes mimic pizza toppings, and crispy almond garlic crumbs crunch like pizza crust. You and your guests will have all the flavors of pizza without the carbs. And it only takes 20 minutes of prep time to put these healthy pizza bites together. This next cheesy appetizer recipe deserves to be at every Super Bowl party, birthday, or get-together in your future. You probably didn’t think mozzarella sticks were okay to eat on a keto diet. But thanks to this easy low-carb recipe, they’re back on the menu. To ditch the overly processed white flour in most carb-heavy coatings, this recipe uses almond flour, a high-fat, low-carb alternative. You’ll get the same crispy, savory coating without the grains and carbs. 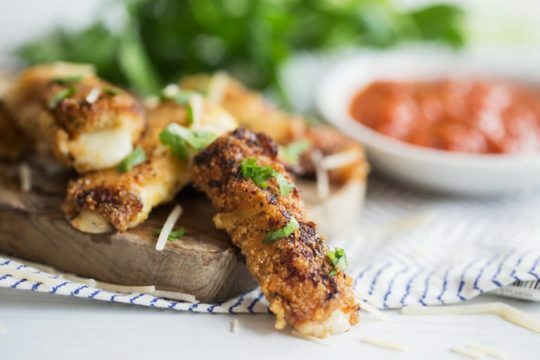 Your guests may not even know you made the swap and you’ll get to enjoy mozzarella sticks without ruining your ketosis goals. This recipe and the next are both high-ranking when it comes to low-carb party food the kids will enjoy. 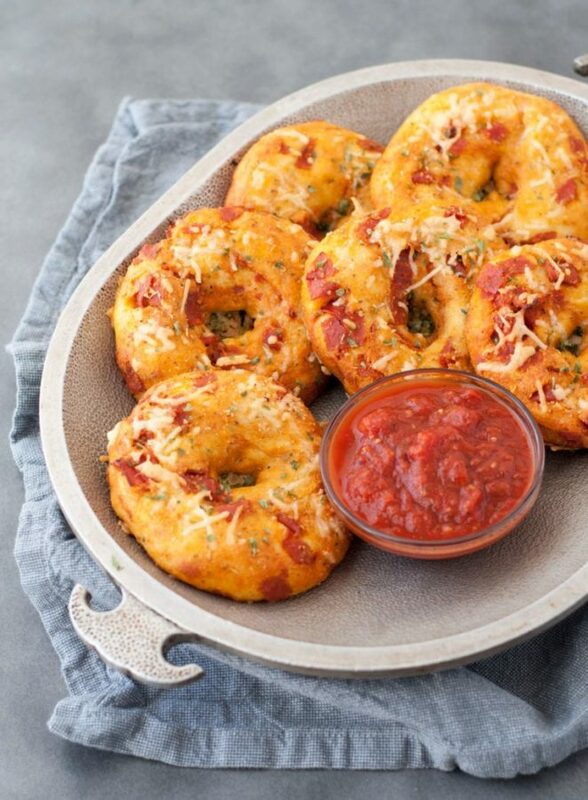 This keto pizza bagels recipe has all the flavor of the frozen, store-bought versions, but with none of the toxic additives, sugars, or carbs. Not only that, they’ll keep you feeling full and nourished, without the sugar crash. And if you want a recipe that’s more tiny pizza and less bagel, check out the next one. 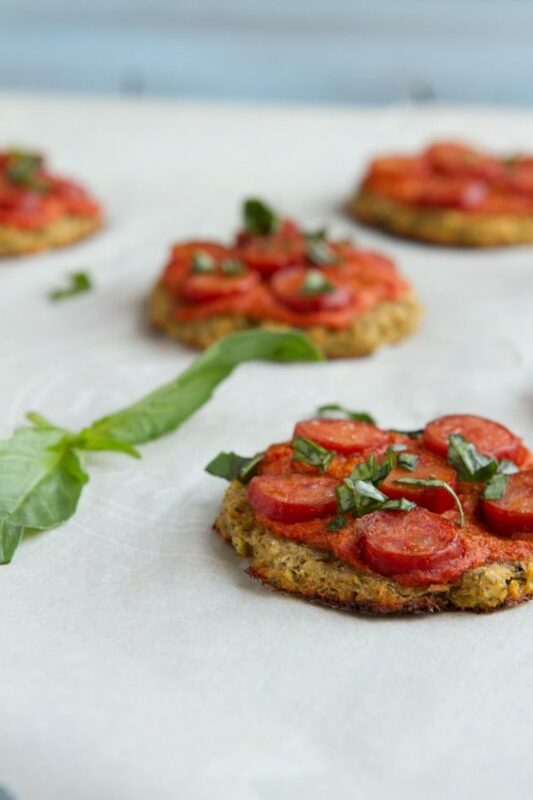 With this mini keto pizza recipe, you can include a dairy- and egg-free option for your guests with food sensitivities. While the original may be cheeseless and without many toppings, you can always adjust it to suit your favorite flavor combinations. So if you want to add cheese or turn these into mini pepperoni pizzas, you certainly could without much extra effort. You may even want to create a topping bar so everyone can dress their mini pizzas individually. If you’d rather make one large pizza you can cut into smaller strips rather than several mini pies, this next recipe may save you some time. Pizza makes any party better. 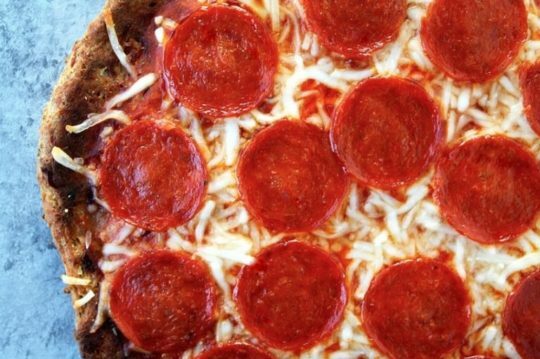 For a better-than-the-real-thing pizza recipe that works well for game day parties and Friday nights alike, this delicious low-carb keto pepperoni pizza recipe will be your new go-to. When serving it at a party, cut up your pizza into smaller bites instead of eight slices so your guests can easily pick up their favorite piece — with or without crust. This also stretches the number of people who can eat off one pie. The next recipe is even easier when it comes to portion control. To keep pigs in a blanket on your next party menu, use this low-carb everything bagel dogs recipe. 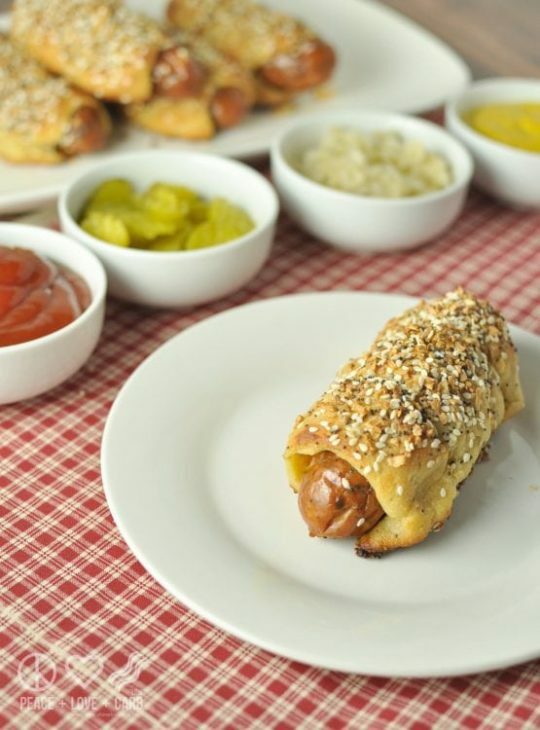 If you only have a few people over, prepare these keto dogs with large hot dogs and all your guests can enjoy one or two. But you can also use mini hot dogs to create bite-sized pigs in a blanket and have even more to share. Your guests can then enjoy a few rather than committing to one large hot dog. This next appetizer is also best enjoyed in one or two bites. If you’re missing crunchy tacos on a ketogenic diet, these mini taco bites have the same amazing taste without all the carbs from the tortilla chips. Using cheese to create a homemade “shell” for your nachos, you can fill them with meat, salsa, cheese, avocado, and sour cream. Or you can set out all these toppings and let guests make their own. The next recipe will also make your guests think twice about needing a high-carb base to capture the same flavors they know and love. Empanadas are the perfect filling party food. With complex flavors and savory meat and cheese, these hand-held mini meals are as satisfying as they are delicious. 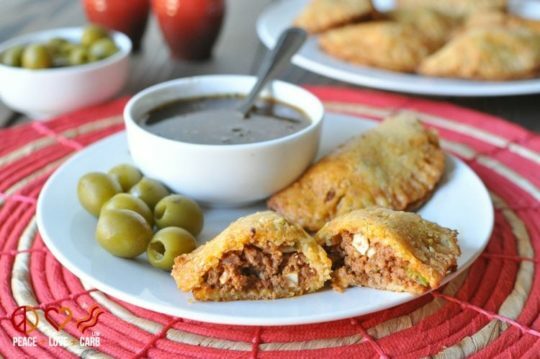 You just need to adjust your family recipe or use one that’s already low-carb and keto-friendly, which is exactly what you’ll find with these delicious beef and chorizo empanadas. If you like the way this recipe looks, the next appetizer comes from the same creator. These tasty tomato melts have all the flavor of nachos with a fraction of the carbs. 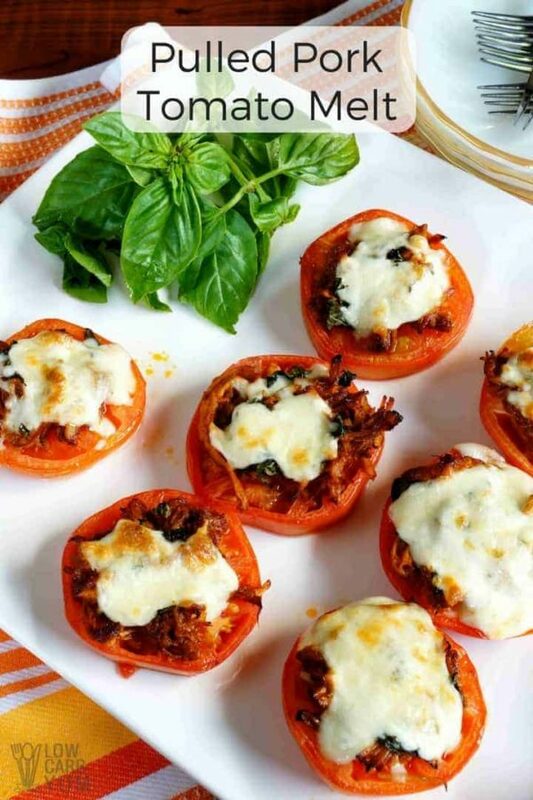 Using tomato slices as a base, simply add pulled pork, fresh basil, and mozzarella on top. Pop them in the oven and after 15 minutes of cook time, you’ll have a delicious low-carb appetizer everyone will enjoy. The next recipe for jalapeno poppers is also a crowd favorite if your friends and family don’t mind the occasional spicy kick. 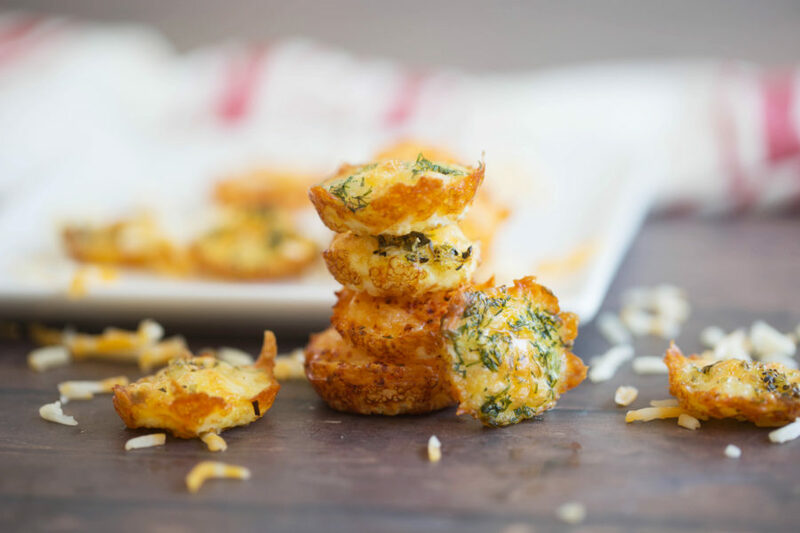 As mentioned in this keto jalapeno popper recipe, most restaurant versions are breaded and fried — two things you want to avoid when you’re on a healthy keto diet. Fortunately, you can still score the same crave-worthy taste while ditching the carbs. 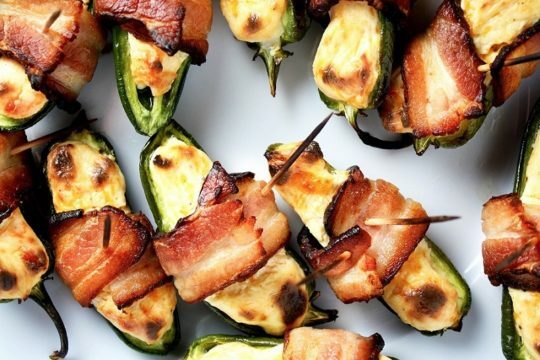 Just fill your jalapenos with a mix of cream cheese and sharp cheddar cheese, wrap them in bacon, and toss them in the oven to cook. You’ll savor the same spicy, smoky, creamy combination you’re expecting, but it will only cost you 1 gram of net carbs per serving. And you’ll actually be able to taste those star ingredients without all the breading. The next set of recipes also leaves out the breadcrumbs (though no one will miss them). Meatballs may seem low-carb, but they’re traditionally packed with high-carb breadcrumbs. This elevated keto meatballs recipe swaps out carby breadcrumbs for filling mozzarella and parmesan cheese, which also adds flavor and a cheesy texture. 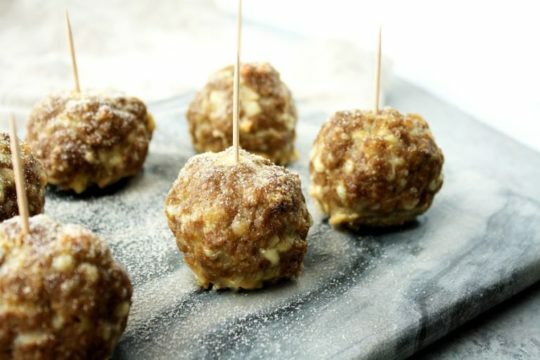 Plus, as you can see from the image above, meatballs make for one of the best low-carb appetizers since you can roll each into bite-sized balls and pick them up with toothpicks. So while it will involve some work up front, it’s much easier for your guests to grab and go. Plus, cleanup will be a breeze. And if you want to switch things up and serve a Thai-style meatball at your next event, try these keto chicken meatballs. The next recipe can also help you mix up the menu and shake up stale classics. These brown butter buffalo bites resemble a classic Applebee’s appetizer, but they’ve been completely transformed to fit your low-carb macros — and they’re also vegetarian. Using cauliflower instead of chicken, this keto-friendly cruciferous veggie is rich in vitamins and omega-3s and low in carbs. So if you’re looking for more ways to sneak veggies into your party without your guests (or kids) avoiding them, give this recipe a try. If this recipe seems too adventurous, you can always stick with another party classic: chicken tenders. 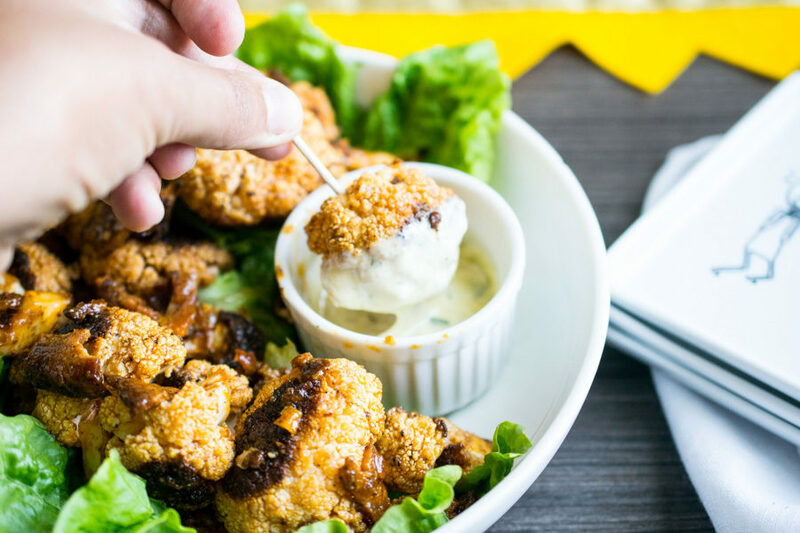 Unlike the previous party food recipe on this list, you won’t find any sneaky vegetables in these crispy keto chicken tenders. 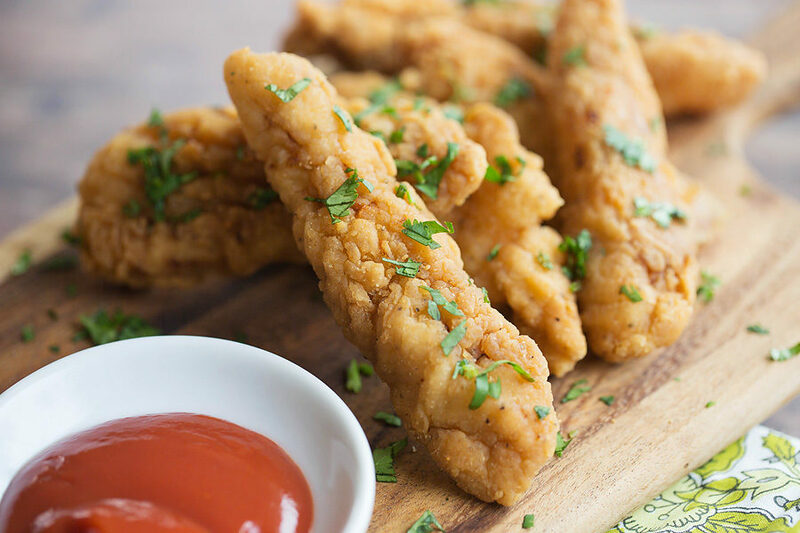 But you will need low-carb almond flour to replace the traditional white flour used to batter these chicken tenders and make them crispy. Despite the swap, you’ll still get the same taste and crunch found in traditional tenders so it won’t feel like you’re missing out. The next recipe also takes advantage of low-carb alternatives to recreate the same tastes of a classic. If one of your go-to party recipes includes potstickers, use this gluten-free keto potstickers recipe. Your guests won’t even notice the difference in flavor or texture. However, this time you won’t find almond flour as the carb replacement. This recipe uses egg yolks and shredded mozzarella to create the potsticker wrapper. Get a delicious umami flavor with none of the carbs. Unlike these last few recipes, the next low-carb appetizer doesn’t need a keto transformation. Consider it more like a special upgrade. 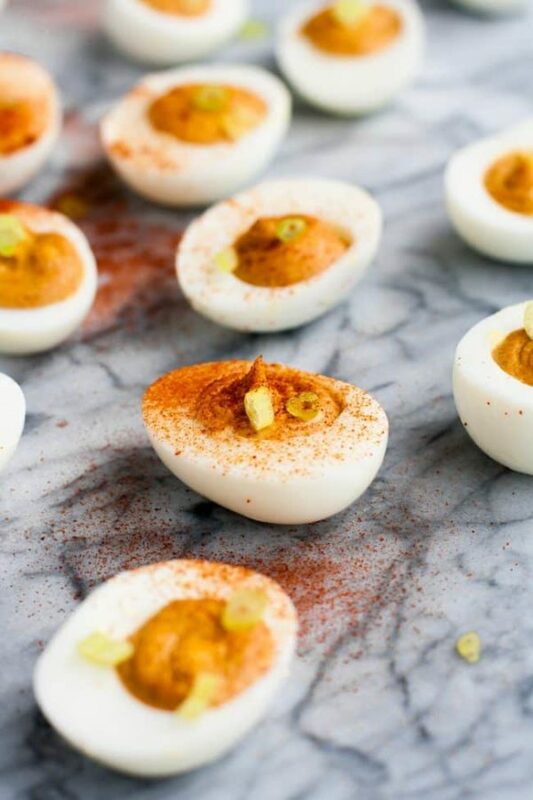 You can enjoy deviled eggs anytime on a low-carb diet, but these upgrades bring some new flavors to the party. If you’re looking for a spin on the classic eggs, mayo, and paprika recipe, kick flavor up a notch with these buffalo deviled eggs. That recipe is also safe for people on other diets (like paleo) and it’s nut- and dairy-free for those with food sensitivities. Low-Carb Yum has a deviled eggs recipe that’s mayo-free and topped with jalapenos and bacon, which makes for another fun change. The last set of low-carb appetizer recipes offer an unexpected surprise. Since they’re made with seafood, they break up the meat and cheese party while also offering an option to partygoers who don’t eat meat. These spicy keto salmon poppers — which also happen to be allergy friendly — don’t look like your average frozen appetizers and they taste light years better. With a crunchy, breaded outside, these poppers include salmon, pork rinds, mayo, and spices. Follow the recipe and you’ll also learn how to make a complimentary lemon dill aioli dipping sauce to pair with your salmon bites, which will only impress your guests further. 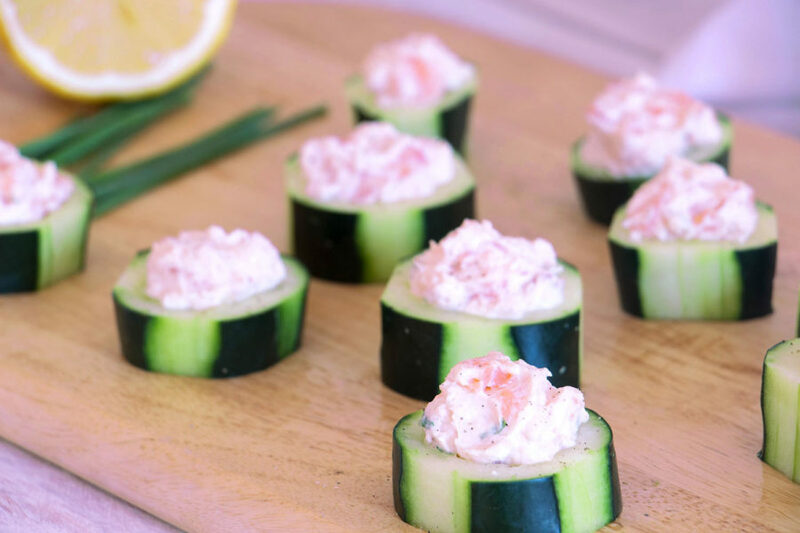 The next low-carb appetizer also uses salmon to create healthy little bites. For a refreshing take on nachos or crackers and cheese, try this smoked salmon pate with cucumber, which is much lighter and just as delicious. All you have to do is combine smoked salmon, cream cheese, and chives and then add a dollop of the mix to sliced cucumbers. Spread them out on a pretty platter and let your guests snack to their delight. 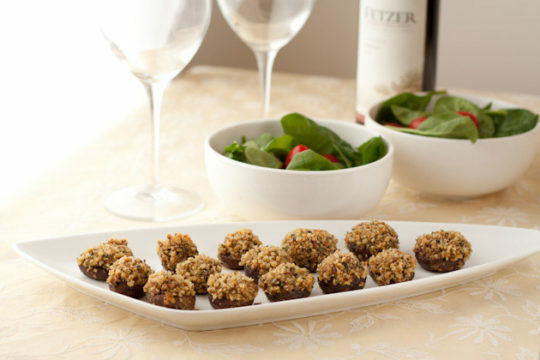 If you really want to get fancy for your guests, check out this next low-carb appetizer recipe. 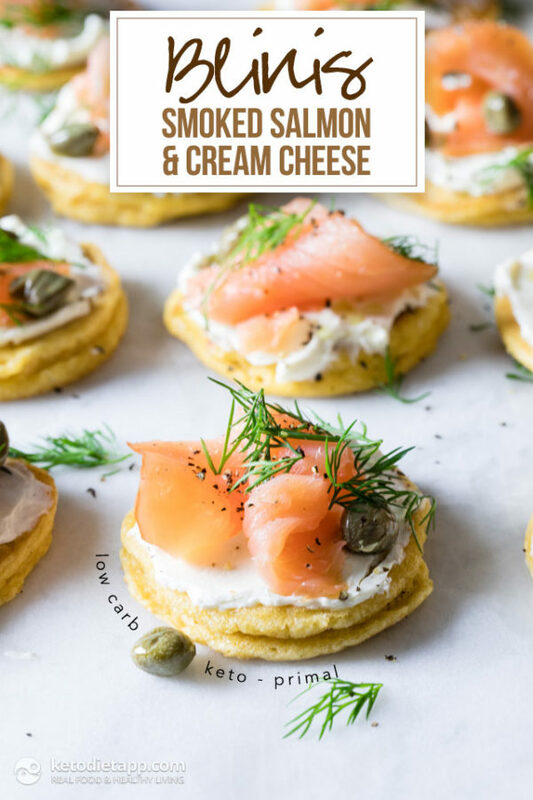 When you’re ready to take your appetizer skills up a notch, give this smoked salmon and cream cheese blinis recipe a go. Making blinis is just like making mini pancakes and topping them with fresh, keto ingredients. And despite looking complicated, the recipe only takes about 20 minutes from start to finish. The next option also comes across like you put way more effort in than you actually did. If you only have less than 15 minutes to whip up a low-carb appetizer, try adding these spicy tuna rolls to the menu. 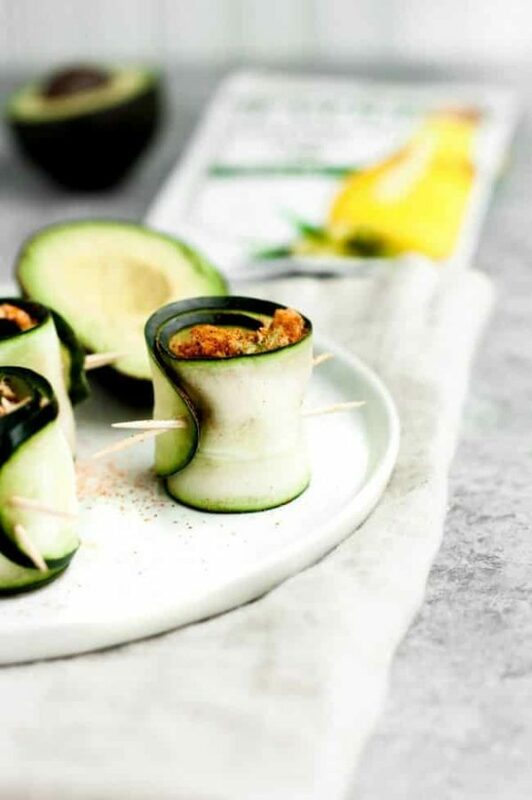 A pouch of wild-caught tuna fish, one cucumber, an avocado, and a few spices are all it takes to get this protein-packed and nutrient-dense appetizer right. It also doesn’t cost much to give your guests another meat-free option. The next recipe may require a plate and fork, but the flavor is worth it. 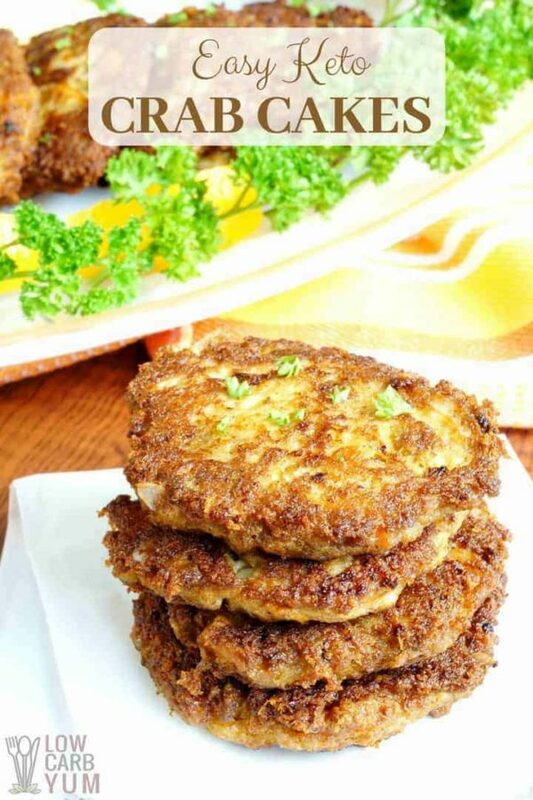 If you’re looking to add crab cakes to your low-carb party menu, try this easy low-carb version that’s also gluten-free since it omits traditional binders like wheat flour and breadcrumbs. This recipe is a breeze whether you’re a crab cake fanatic or it’s your first time making them. Similar to baked clams, these baked sea scallops pack a ton of flavor into a small bite. And they look a lot more complicated than they are. 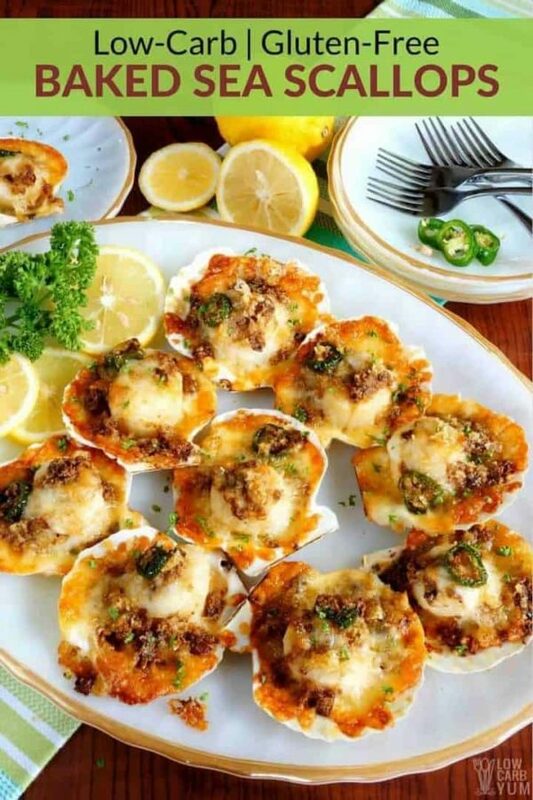 Just combine the ingredients for the crispy topping, spoon on top of the scallop, and bake in the oven for 15 minutes. Baking them all at once saves you the trouble of pan-searing scallops for all your guests. You can’t beat the in-shell presentation either. When they’re done, you’ll have a low-carb appetizer to rival those at any restaurant. Or you could always go with this final foolproof keto appetizer. While it’s nice to have all these low-carb appetizer options, sometimes it pays to go back to basics and keep things simple. And no appetizer says mouthwatering simplicity quite like cocktail shrimp. What’s even better is you can make this high-protein, low-carb option in a matter of minutes. Fill a large pot about ¾ of the way with water. Season this with salt and lemon. Bring to a boil. Remove the pot from the stove once it reaches a rolling boil. Add your shrimp and cover the pot. Let the shrimp sit for 4-5 minutes, or until they turn opaque. Once done, add the shrimp to an ice water bath to stop the cooking process. Drain your shrimp and place them in a serving bowl. Pair your shrimp with a homemade cocktail sauce using keto ketchup, lemon, and horseradish. Feel free to substitute the keto cocktail sauce for a garlic or lemon aioli. Which Low-Carb Party Foods are You Inviting to Your Next Get-Together? Now that you have a better idea of the best low-carb party foods and keto appetizers, the hard part will be figuring out which ones you’re going to make. Instead of getting overwhelmed by all your choices, it helps to choose recipes your family and friends are already familiar with and like. That will make your low-carb switch feel less like a huge change. Make sure to balance recipes that don’t involve much work with ones that require a bit more prep. This way you can make as many as you want without burning yourself out. These 43 delicious options may fool your friends and family into liking a low-carb menu, but the real goal is helping you stay in ketosis. If you can avoid cheating on keto while you get your party on, you’ll be one step closer to reaching your health and weight loss goals. And that’s certainly worth celebrating!